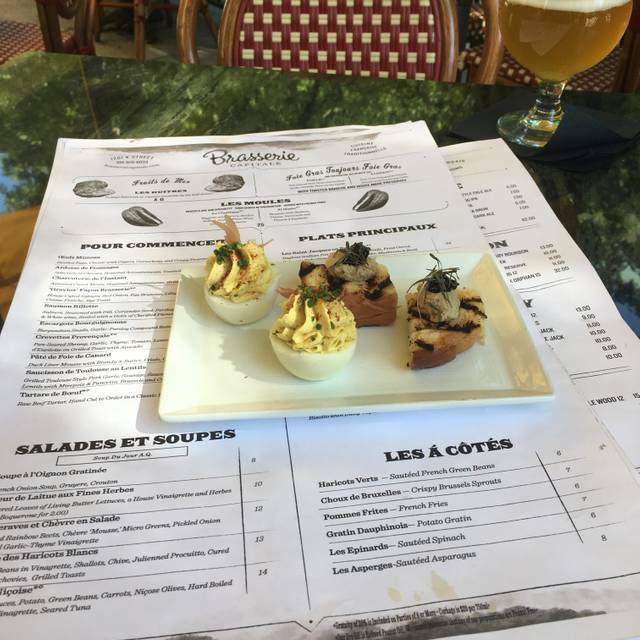 You must make reservations at least 5 minutes in advance of the time at Brasserie Capitale. Available from 5 PM Monday through Saturday. Enter from the 12th Street side into the alley behind our building (1201 K Street) to access our basement parking. Light Rail at 11th/K Streets. Whether you’re in need of a quick bite and a café au lait or in the mood to enjoy an extended evening of dining and wining, when you come to Brasserie Capitale or our Café à Coté, you will enjoy the casual elegance that embodies the uniquely romantic French spirit referred to as le charme de la vie (“the charm of life.”). 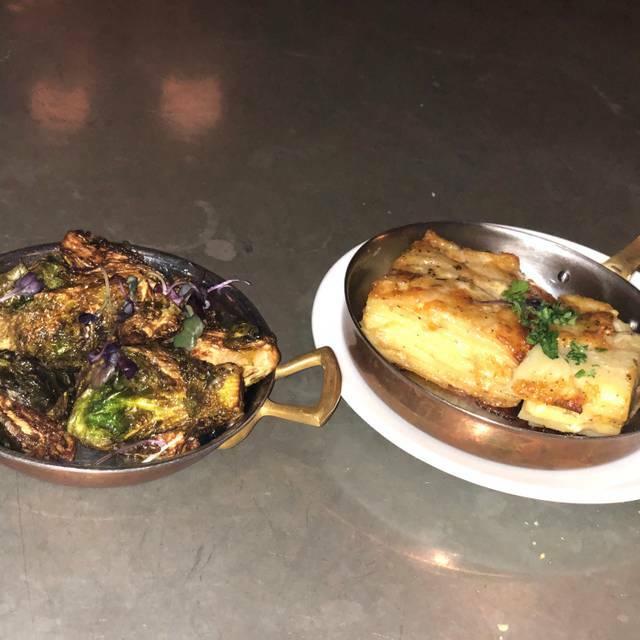 By combining superior quality ingredients with flawless execution and a commitment to providing the exceptional guest experience, we are transforming the uniquely French concept of a traditional brasserie –a full service restaurant with an extended drink list –into Sacramento’s newest food and drink destination. Brasserie Capitale is a lovely little french bistro with terrific food, a great wine list and a lovely ambiance. Good for a special night, or a dinner before a concert or show. The menu changes often, reflecting whats in season. The wines pair well - and if you don't know what works best, just ask Aziz or one of the servers. They know their stuff. Great food but service was not good and kitchen was VERY slow. I expected a lot more. Food and service were good, but I just felt something was missing. And I felt the prices were a tad to high. My wife and I have eaten at a lot of “fancy” places with much better value. Food was wonderful as usual. Hostess was rude. Waiter was nice but seemed to be rushing. Wonderful tasty food. Prices about 20% less than Ella and food is a little better. I'm not sure I like the metal tables without table clothes. The waiter was wonderful, but the person who seated us made a snide comment that I didn't like and I don't think was necessary. Item on the menu online not available. I had lamb chops that was almost a full rack of lamb. There is nothing I like better than good lamb, and this was one of the best lamb dishes I have ever had. Only time I had better rack of lamb was at Pom Frits in Palm Springs. Wine by the glass was good and reasonably priced. Steak tartar was also excellent. 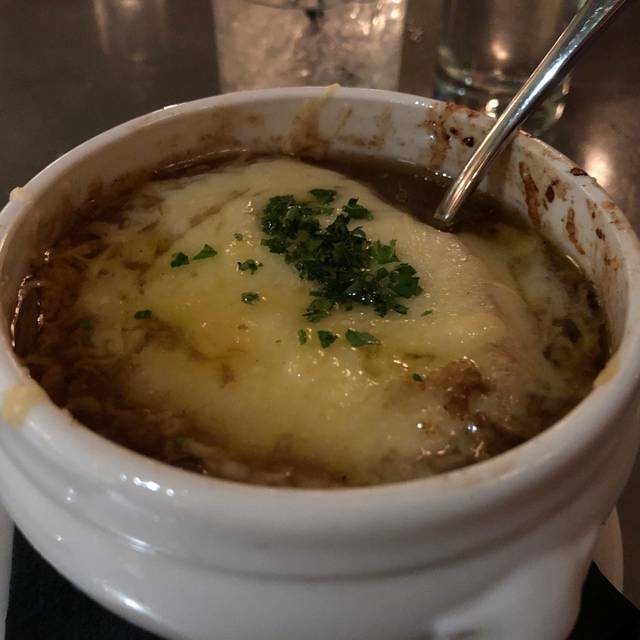 French onion soup needs more cheese but the flavor of the soup itself is the best. Just thinking about the onion soup makes my mouth water. Great place to eat before Broadway show! Good food and service. Fantastic cuisine. Members of our party had filet, salmon, lamb pop cycles and pork chops. All agreed everything was great. Bad service plus Unwilling to provide half salad and half fries with lunchtime sandwich. Love this place. A bit loud this time from the bar and the server acted like we were bothering her but amazing food. Always a great place to eat. Food and drinks are top notch. One of the best cocktail bars in town. Besides the person who called me asking me where I was and was clearly irritated, I told her that my party should be there any minute that they must have been running a few minutes late. My party said it was a nice place to meet for coffee and talk. Service took a long time. At first server was not friendly. The food was excellent, as was the bartender where we had a drink before going to our table. However, once seated, the service (outside) was terrible. We had concert tickets for 8 p.m. We let the waiter know this. We did not finish dinner until 750. It took 10 to 15 minutes to get first drink and no one ever came to offer a second one, so we went to the bar to get them. The meal did not come until almost 730. We had to ask for bread. 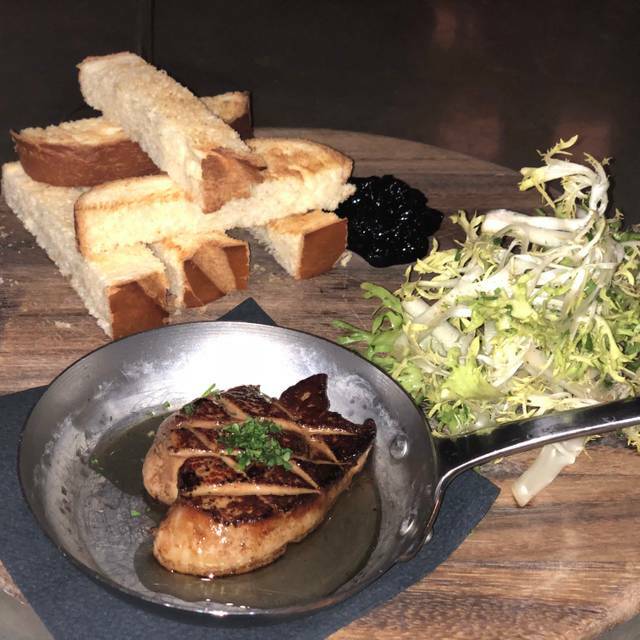 Ask for new silverware when ours was taken with salad plates. Waiter kept telling us that the busser should have been doing everything we asked for. He only 4 tables outside to wait on. We ate here before a Saturday night theater performance of Broadway Sacramento. The restaurant was packed, as one would expect, but the management was totally unprepared. If we had not had an excellent waitress, we may not have gotten out on time (or would have left before eating). But the food was excellent. So, we would recommend this restaurant, but not when there is an event downtown. The varied menu gives choices for every palate. We have been here twice and both times it was excellent. The cocktail and wine lists are also excellent. Our server was attentive. We will continue to return. Pricey but worth it! Great for dinner before the theater. Service was fast. Food and drinks were very tasty. Didn’t get the broadway show discount though. So make sure you ask for it. We came at rush time and the kitchen got confused and put our order on hold for over an hour. Food was great though and we will be back. The salmon with the roasted beets and Brussels sprouts was delicious! Sacramento’s leading French brasserie lives up to its billing. The cocktails were interesting and very well made. The beef tartare first course was as good as any that I have had outside France. The duck in a chassis reduction was perfectly executed. The accompanying sides were equally well done. Creme brûlée for dessert was traditional but also very well done. Hopefully they will bring back escargots and the duck a l’orange. Service was skillful and unobtrusive. Food was excellent as always. Server was very knowledgeable about food and wine. She made excellent wine recommendations. Owner came around to the tables to greet the guests and see how things were going. This was a nice touch. 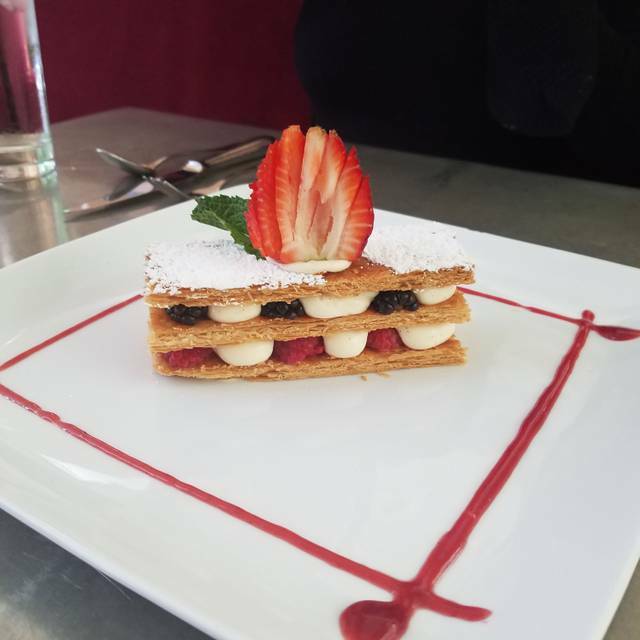 We are also appreciative that the restaurant supports and sponsors Alliance Française de Sacramento. We will be back again. The duck pate was mild and certainly a nice way to begin dinner. The onion soup was done to perfection with a nice hint of sweetness. 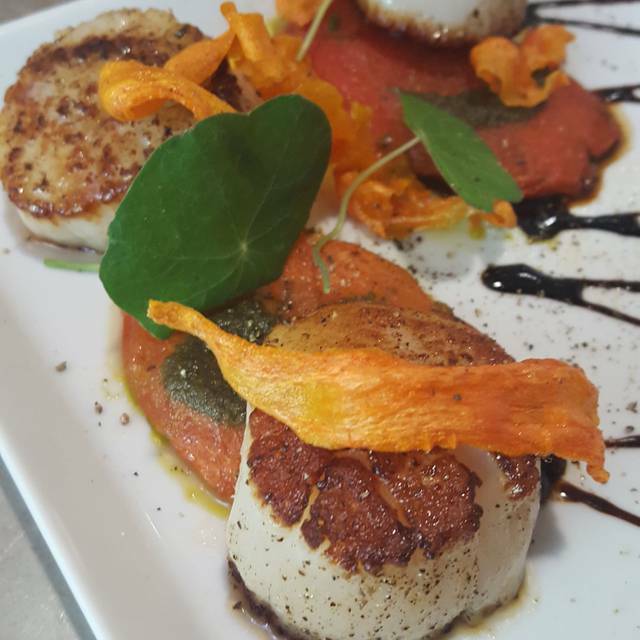 Our scallops were some of the best ever and the plate was beautiful. The champagne and wine choices were nearly unlimited. Our waitress, Liz, was a pleasure. She not only poured well, but her pleasant attitude and constant smile made the evening delightful. I would recommend this restaurant to anyone wanting an elegant meal at a downtown location. Ordered the “plat du jour”. Absolutely outstanding. Can’t wait to return. Bring back the trout almondine!!!! Great place for a business lunch. 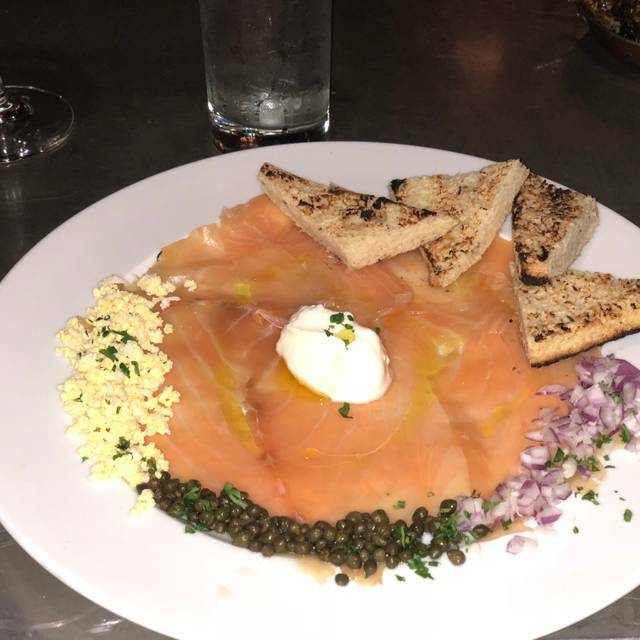 The food is consistently delicious and beautifully presented, the service is friendly and prompt, and you can converse without having to raise your voice. Delicious food! Free parking downtown! Love it and will return! We had a reservation and were seated promptly. Our server was attentive but not intrusive. We ordered the beet salad to share, the filet and the special. Every dish was beautifully presented and tasted delicious. We had the profiteroles for dessert and they were by far the best deal on the menu. The restaurant was quite busy that evening and the noise level made conversation difficult. We may try it again a little later in the evening. Everyone enjoyed their selections. The lox appetizer was terrific as was the chocolate mousse. I had the dayboat scallops and they were not really as advertised. they were not inside a puff pastry. they were on top of a puff pastry. they were not warm enough. they were a bit cold but you don't reheat scallops. the butternut squash puree was excellent. The wine was grossly overpriced as usual. The service was outstanding. Good to excellent food and reliable service. Annoyingly, for months, their online menu does not accurately reflect the items on their restaurant menu - many times are not being served. Surely, a restaurant of this caliber can afford to keep their minus updated. Hospitality was on the cold side, service was fair but not great (waiter reached in front of guest to place a spoon next to his plate), main meal was disappointing, side vegetable was teaspoon size,. Beautiful restaurant with lots of potential. My previous meals there were excellent, service was great. Food was sensational. We started with the beef tar tar as our appetizer and it was super flavorful. Then we decided to mix it up and have dessert next, first item on the dessert menu cream brûlée’s.. To die for!!!!! For our main course I had the lamb, my date had the pork chop. Both items were spectacular. Presentation was flawless and service was amazing. Highly recommend for business or pleasure. Food was excellent, if on the pricey side - atmosphere warm and inviting. Service lacked: the hostess had an unfriendly demeanor of a porcupine.... and the waiter seems young/untrained - when serving a bottle of wine, he just opened it without letting us look at the label or taste first: and forgot to change out and supply additional utensils after courses......someone else had to come over and cover the miss. Excellent location if you are going to the symphony. Some of the food was excellent. Some just average. Our waitress seemed stressed. The menu on their website was different than on the night. 3 items I wanted weren't available. Ambience and food didn't equal fine dining prices. Large wine and liquor menus. 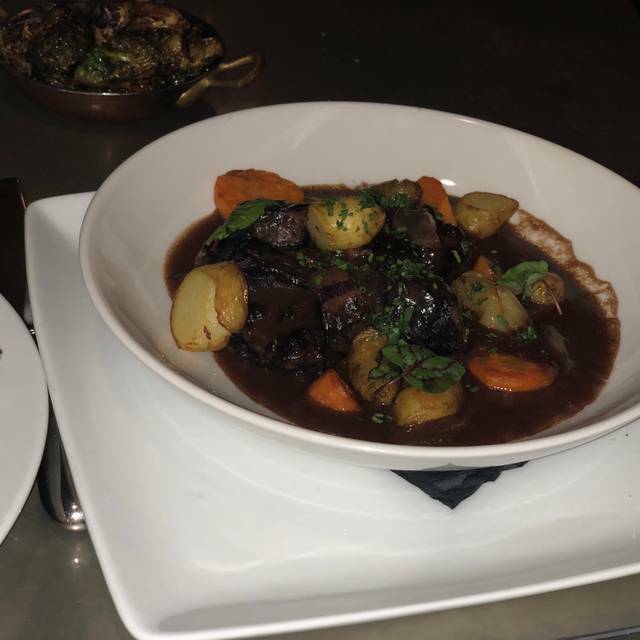 Brasserie Capitale is our favorite restaurant in Sacramento. 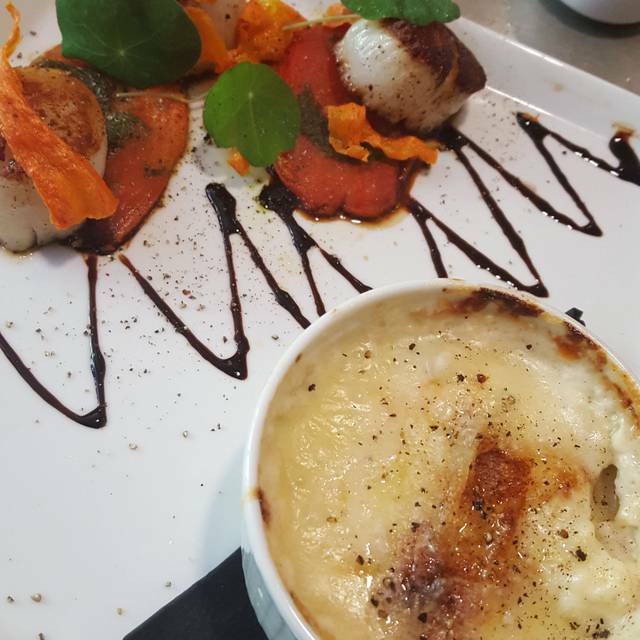 We find every opportunity to dine there, and each time is a celebration. But they kindly accommodated us anyways and gave us a table when we showed them the confirmation email on our phone upon arrival.